David is one of the most beloved and well-known Bible characters. From the shepherd boy who played his lyre and fought Goliath, to the mighty king who reestablished the Israelite nation and envisioned a temple to bring God's people together, David is a significant part of our religious heritage. A shrewd political leader and a flawed human being, he was still called "a man after God's own heart". 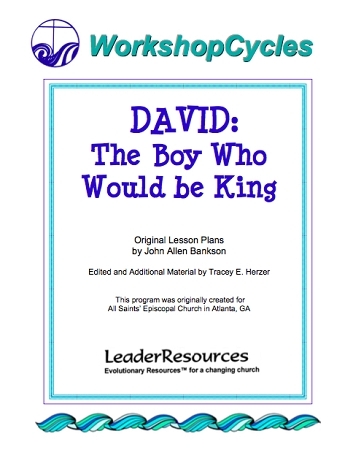 This unit of WorkshopCycles uses some of the familiar aspects of David's life to help children understand the psalms.They can talk about what it means to stand up to the giants in our lives, be a friend to others, and the importance of praise and worship and how we can "taste and see" that God is good. Appropriate for K-5th Grade.